Combine a visit to the Basilica of Lujan and a tour of a working estancia on this 10-hour private tour from Buenos Aires. See one of the most important pilgrimage sites in Latin America, then learn about the gaucho life on a working horse farm. Lunch and round-trip transportation from your Buenos Aires hotel are included. This private tour begins with pickup at your Buenos Aires hotel at 8am. Board a private tour vehicle and travel to the Basilica of Lujan, a trip of approximately one hour. 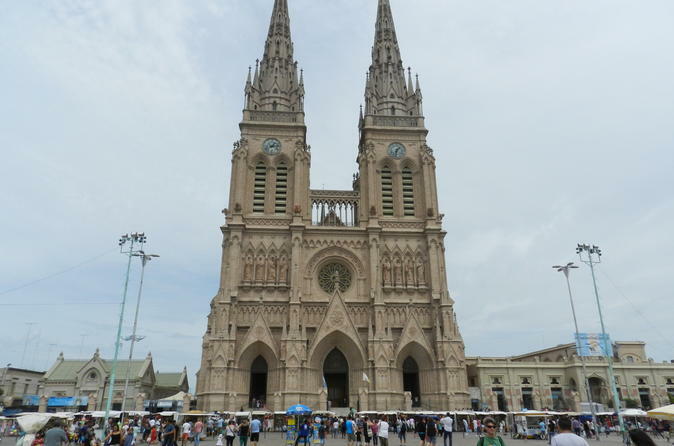 Learn about the basilica, which was constructed about 100 years ago and is one of the most important pilgrimage sites in Latin America. Spend some time exploring the basilica and the small surrounding town with your guide before departing for the estancia. Meet the estancia's proprietor and some of its resident stallions, who are being trained for polo-playing and racing. You may also choose to go horseback riding or engage in other activities. Dig in to a traditional Argentinian asado barbecue, as well as an afternoon tea, coffee or mate. Your 10-hour private tour ends with drop-off back at your hotel.